Last year, Hitachi came out with a new entry-price-point 10″ compound miter saw, C10FCG. Right now, it’s on sale for $99. Not only that, Amazon is matching Walmart’s pickup discount, giving you an extra $3 and change discount at checkout if you “clip” a coupon on the product page. The fence looks a little different compared to the previous seasonally-on-sale model (C10FCE2), and the guard has been updated as well. 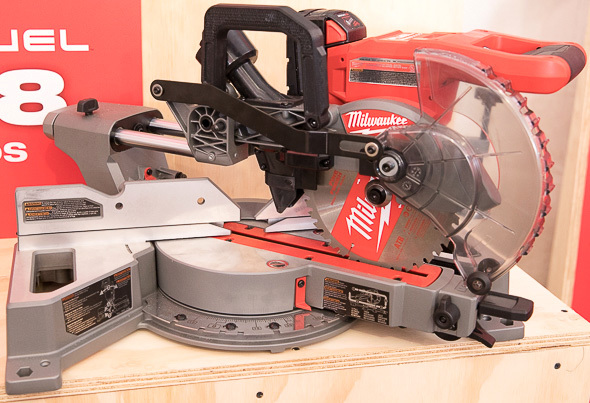 This Hitachi miter saw was on sale last year too, and reviews seem to be fairly positive. It looks like a no-frills saw, but sometimes that’s exactly what you want. Hitachi makes a pretty good miter saw for a surprisingly low price. I had the C12FDH dual bevel 12″ saw for years before upgrading to a slider. When I bought the Hitachi, it was on sale for $200, had a Lowe’s rebate for a free 18 gauge brad nailer, and a Hitachi rebate for their 5″ orbital sander. My only complaint was the fine bevel adjustment gears were a planetary set with a plastic carrier, and it eventually cracked and broke after several years. It would still bevel, just not with fine adjustment. I actually regret getting rid of the Hitachi miter saw when I upgraded, since it turned out to be more accurate than the slider at 1/3 the MSRP. I’ve had this saw for years and it has a permanent place in my van. I use this for punch list jobs since it beats lugging around a 12″ slider. It checked all of my boxes, lightweight, compact, and accurate. I have the older version of this, got it for under $100 and it was square out of the box and has stayed that way in the years I’ve used it. Nice and stable. Hope the new model is as good. 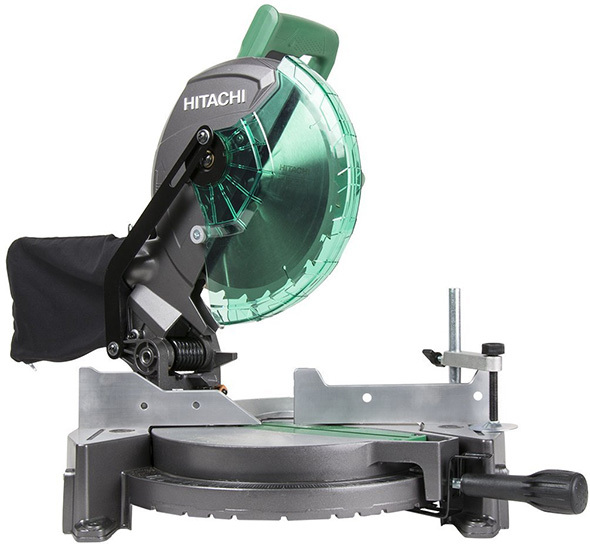 Hitachi does make reasonably priced miter saws, I’ve used one of their 12 inch older sliders, too, and liked it. You rarely see negative comments about Hitachi/Hikoki/Metabo HPT (apart from the name decision for the last one) and I think this is because their tools under promise and over perform and are priced correctly. So you buy a dark green not Metabo tool and you get a pleasant surprise which is a good thing. There’s been a few times that one of the Lowe’s Black Friday miter saw deals was the Hitachi 10″, even if it wasn’t the lowest priced miter saw (usually a Skil or Kobalt). If it goes down to $99 or close to it, use a $20 off $100 online coupon making it ~$80 + tax. Even better deal and easier to return/exchange as needed, too.